Looking for some fun Dragon Ball Super stuff? Come join Dragon Ball Chow, a remake of a not completed Abridged series! We are going from Battle of Gods to as far as we can get. 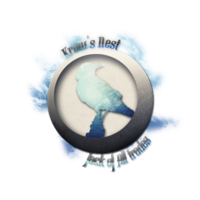 We are currently just looking to get a few empty roles filled before episode 2. 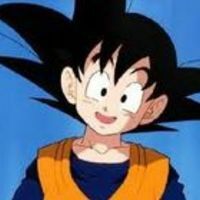 Goten is the youngest son of Son Goku and Chi-chi, and younger brother of Son Gohan. Goten's best friend is Trunks and when they fuse, they become Gotenks. In this series, since no one likes Goten, we're gonna be a little harsh with him. What we are looking for is a good Bobby Hill voice for Goten. Yeah, Son Goku is my dad! Yeah, I guess when your family is the richest in the world, there aren't many toys that you don't have. 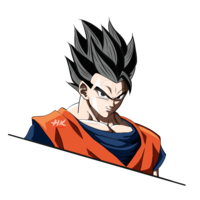 The eldest son of Son Goku and Chi-chi, Gohan is a strong fighter but also an academic. He was taught by Piccolo on how to fight and survive. In DBS, he marries Videl and they have their daughter, Pan. For this, we are just looking for a voice close to his canon Dub voice. "Fight you? No, I'm here to kill you." Leader of the Pilaf Gang, and one of the old gag villains, Pilaf has always seeked the Dragon Balls to take over the world... 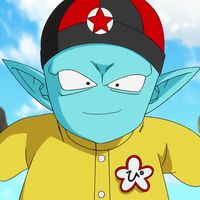 Although, in Dragon Ball Super, he and his allies are children, due to wishing for 'youth'. We dont like Pilaf but man we definitely don't like his voice. We are looking for Pilaf to having Terry Crews voice. "Are you telling me that even the fish are disrespecting Lord Pilaf?!" 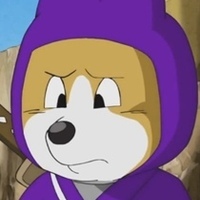 "There's no point in taking over the world if you're old and wrinkly,"
One of the only members of the Pilaf Gang, Shu is a ninja dog. He is usually whiney and cowardly. 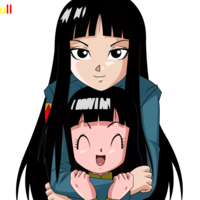 One of the only members of the Pilaf Gang, Mai is the more important member, in Dragon Ball Super that is. She be friends Trunks and a little puppy love romance blooms. She is also a major role in the Zamasu Arc, being one of the survivors or the Kai's rage. (Young Mai) *mockingly and irritated* "You DID tell him 'Oh, Shenron, please make us young again!'" (Older Mai) "Don't blame yourself you survived. And the fact that you keep going out there is what gives the rest of us courage. I would have given up a long time ago if it wasn't for you."